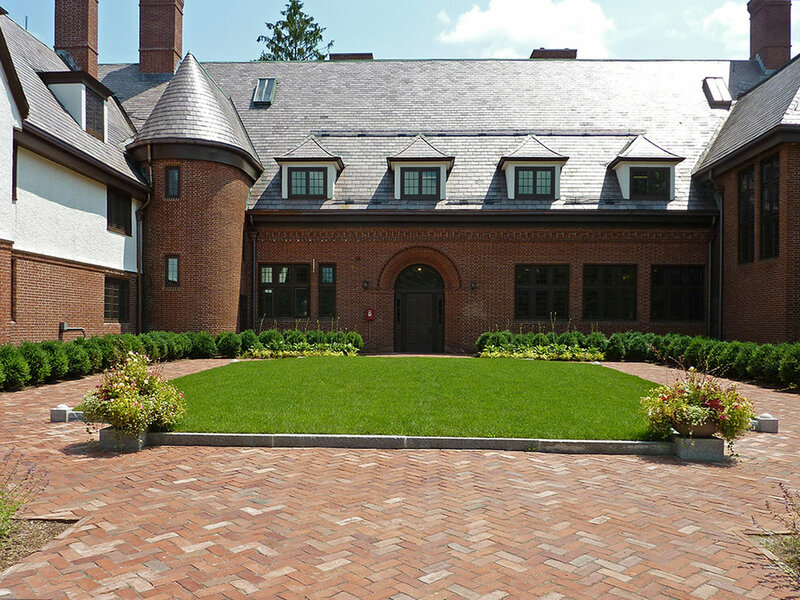 When Mount Ida undertook a complete building renovation of Shaw Hall in 2012 the College asked Ryan Associates to reimagine the courtyard of this century-old manor. Long used as a drop-off and utility parking area, the fully paved space was no longer in keeping with the genteel design and original purpose of the historic building. However, the original entry columns remained and the urns capping them could be restored. The rebuilt columns now frame the view into the courtyard to a granite-bordered central lawn set off on all sides by a brick path. Laid in a herringbone pattern the brick speaks to the original detailing on the building and the raised lawn panel creates a vibrant green space which is at once precious and inviting. 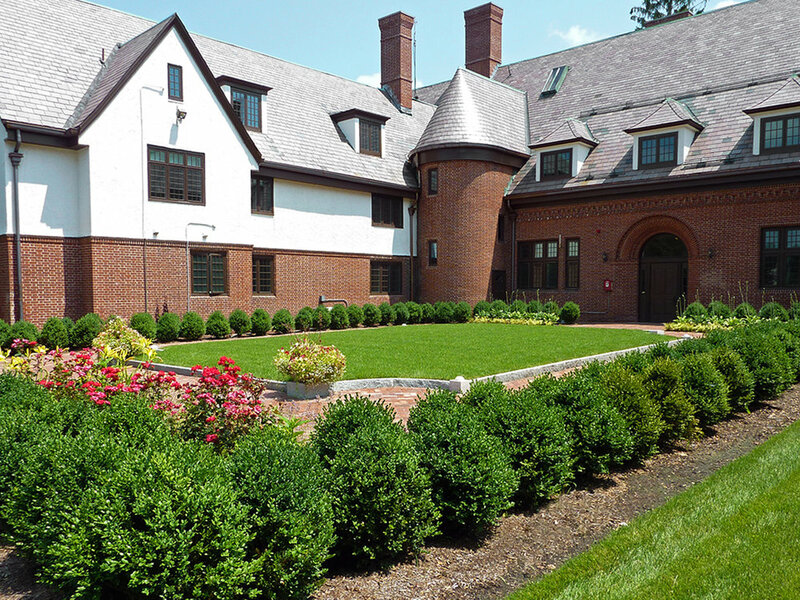 Beyond the path formal boxwood hedges enlivened with flowering shrubs and perennials create a setting suitable for college receptions or quiet enjoyment.